Should You Buy a Car Online? - autopom! Home/Buying a Car/Should You Buy a Car Online? 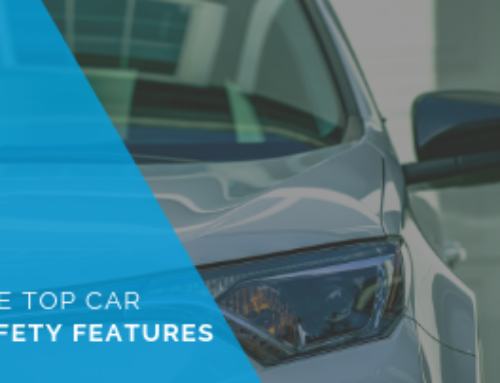 Buying a new, or new to you, car can be an exciting and happy experience. It can also be time-consuming, frustrating, and even stressful. 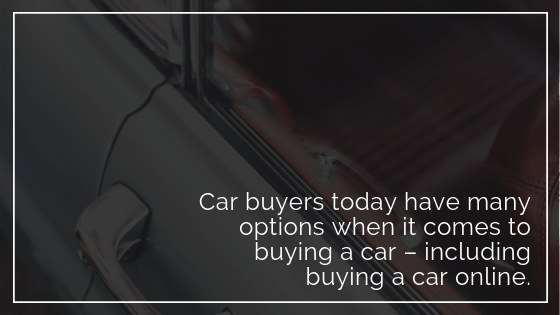 The good news is that car buyers today have many options when it comes to buying a car – including buying a car online. Did you know you can even buy a car on eBay? It’s true! My father-in-law actually bought a car on eBay a few years ago! I know eBay is certainly not the typical route for buying a car online, but most dealerships do have online sales as an option. For example, my husband once bought a car online directly from a dealership. He spoke on the phone and emailed with an internet sales person at the dealership, scheduled a test drive, negotiated a deal, and then had the vehicle delivered to him. It was simple, relatively quick, and he got a fantastic deal. Save time and hassle: We all know that you can easily spend an entire day visiting dealerships and closing a deal on a new car. You can eliminate much of this time by shopping and buying a car online. If you don’t have the time or desire to go into a dealership to shop for and negotiate a deal on a new car, then buying a car online is a good idea. Save money: Many reputable automotive websites, like Edmunds.com, have tested the idea that buying online will get you a cheaper price. They all seem to agree that, most of the time, the first price quoted to you online will most likely be less than the price you will get at the dealership. Of course there are exceptions, but in most tests, the first online price quoted was lower than the best price negotiated in-person at the dealership. Avoid high-pressure sales and spur-of-the-moment decisions: Dealing with a salesperson, and possibly sales manager, at the dealership can be high pressure and emotional. This can cause you to make a snap decision that may not be the best. With online buying, you can take the time to do thorough research and think about your decision before finalizing it. This may result in you making a better choice. Whether you decide to buy your car online or in person, I advise you to review your options for protecting your vehicle with an extended vehicle warranty or vehicle protection plan. If you buy a new or used car, locking in coverage now will get you a good price and ensure you never miss a day of coverage. What is an extended vehicle warranty? An extended warranty or vehicle protection plan generally pays for at least part of the cost of certain repairs and problems once the original manufacturer’s warranty is expired. Even better, a vehicle protection plan may pay for itself when you’re faced with only one expensive repair!